The fowling piece in question is strongly baroque in style. It is mounted in heavily chiseled iron and stocked in burl maple. Silver mounted fowling piece by John Harman of London. Likely produced in the early 1760's. Notable features include graceful architecture, finely sculpted silver mounts and delicate silver wire inlay. 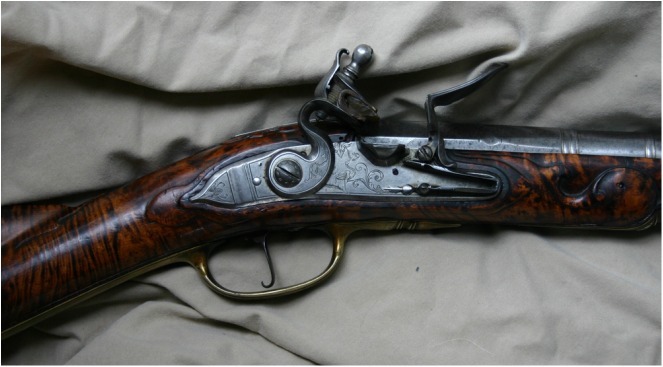 The flintlock includes a roller frizzen as well as a roller on the mainspring tip. 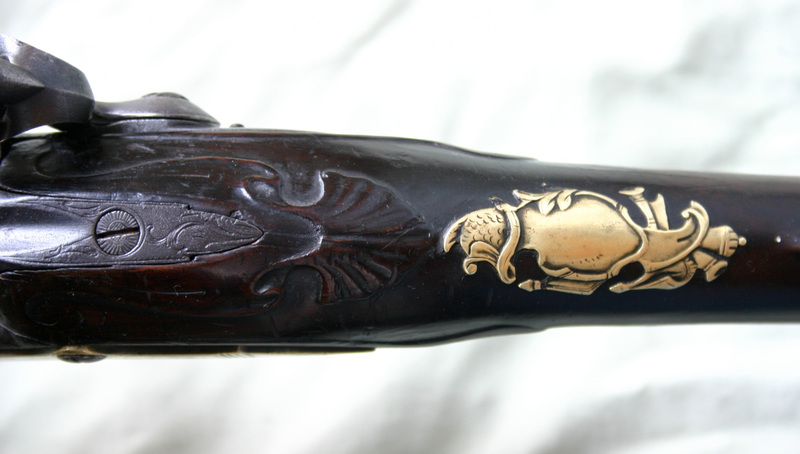 A smooth bore gun signed by Claude Niquet of Liege, Belgium. 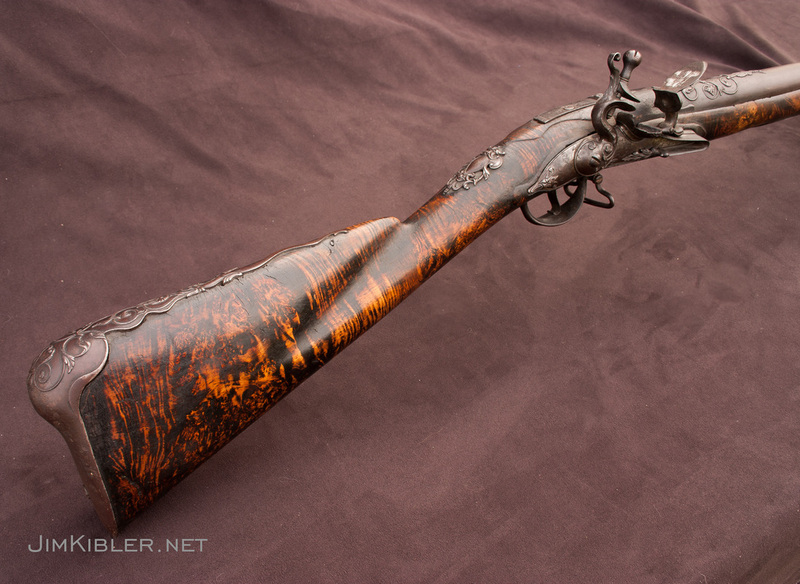 This gun combines both fowling piece and typical rifle characteristics. Details suggest this was built in the 1730's or 1740's. 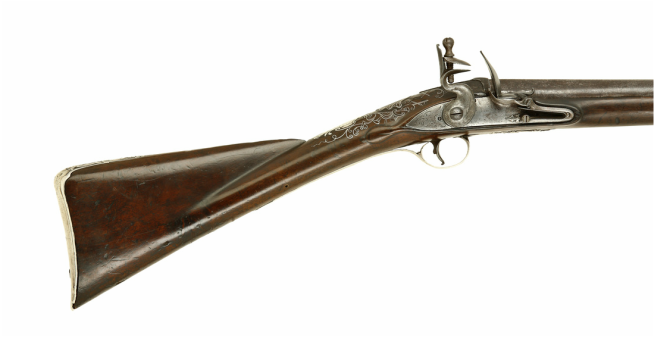 Of particular note is the similarity in stocking to the "Brass Barreled Rifle".